Most of the time I close deals through the mail, so trust is key. I usually send a deposit, have you send me the can for review and complete the deal that way you get some money in hand first and I get to see the can before I complete the final payment. I'm retired Air Force, and currently work at the U.S. Army War College located in Carlise, PA and a member of the BCCA board of directors, so I can't cut out on you. My goal is to pay a fair price and find cans for my collection, friends collections and extras for trade when possible. At Beer Can Exchange, we go the extra mile to treat you fairly if selling and give you a great deal if buying. How do I Buy your cans? 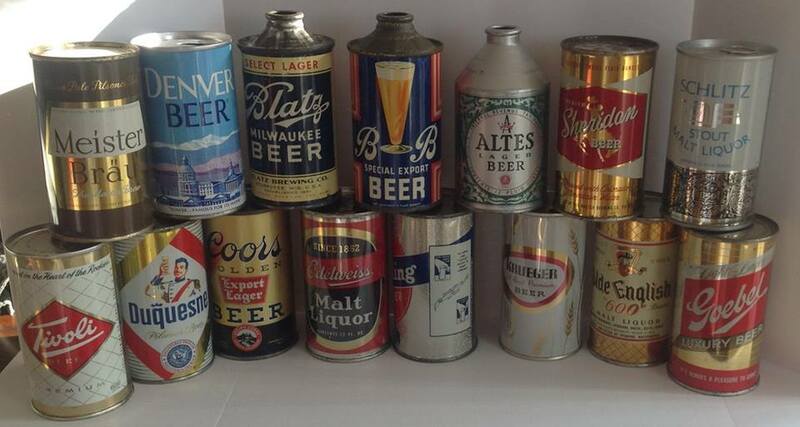 Common Beer Cans of little to no value.